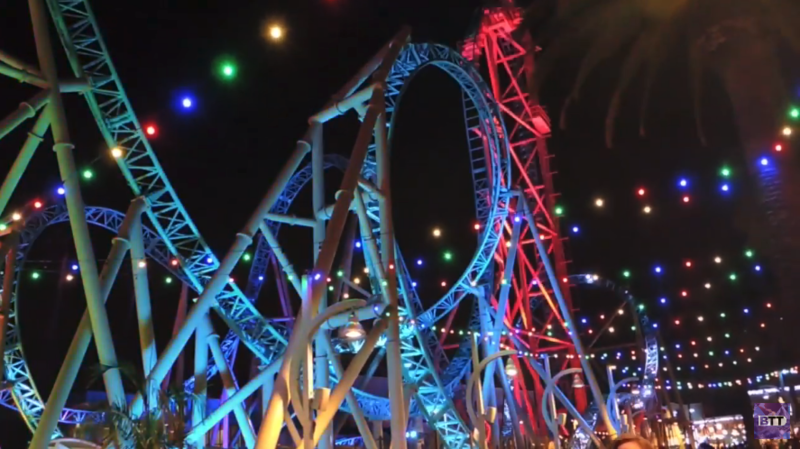 Today Knott’s Berry Farm did something they’ve never done before. 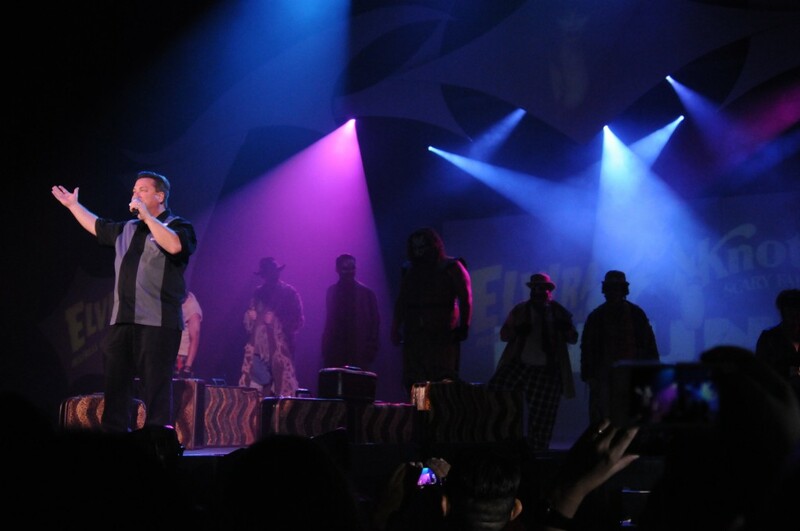 They revealed everything that will be going down in Halloween Haunt 2013 in front of 2,200+ screaming Haunt fans. It was something to behold. Hosted by Knott’s own personality Jeff Tucker, an array of new mazes, scare zones, shows and more were announced with special guests and Haunt designers Brooke Walters, Daniel Miller, Gus Krueger and Lara Henneman. Of course everybodys favorite horror maven was also in the house. 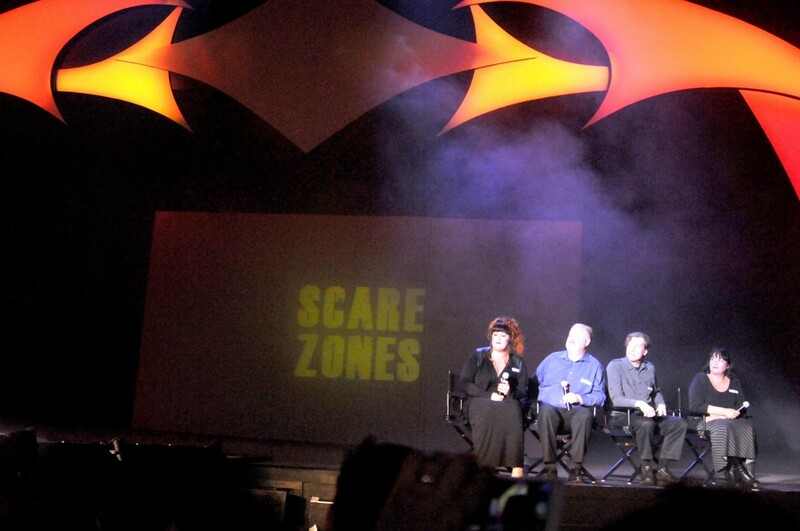 Elvira made a brief but meaningful appearance at the event and maze one of the nights biggest announcements. Fans of HAUNT have been arriving since early this morning eager to get a good spot at the press conference, hoping to see what Knotts has in store for this year’s 41st annual event. 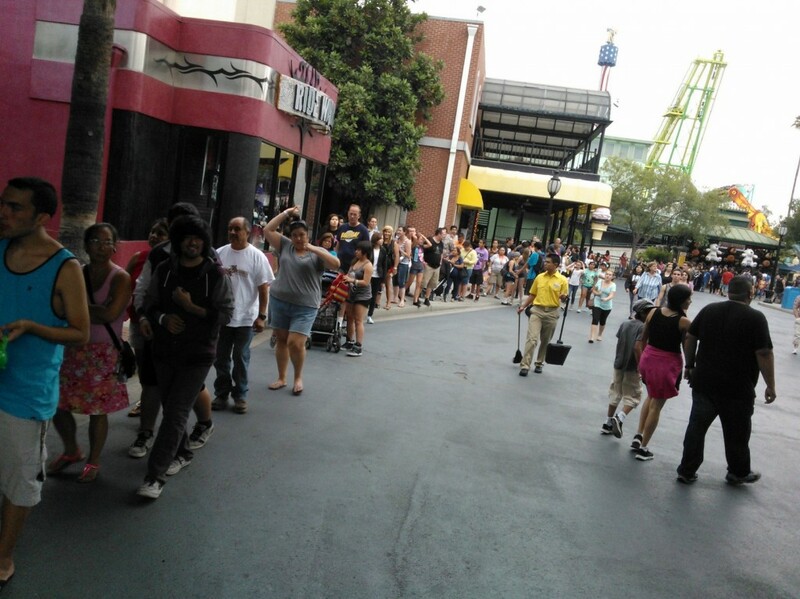 Of course by 6pm the line to get in stretched all the way across the back of the park. It’s safe to say that people wanted in on this press conference. Inside the theater 2,200+ fans rushed in to get the best spot possible. 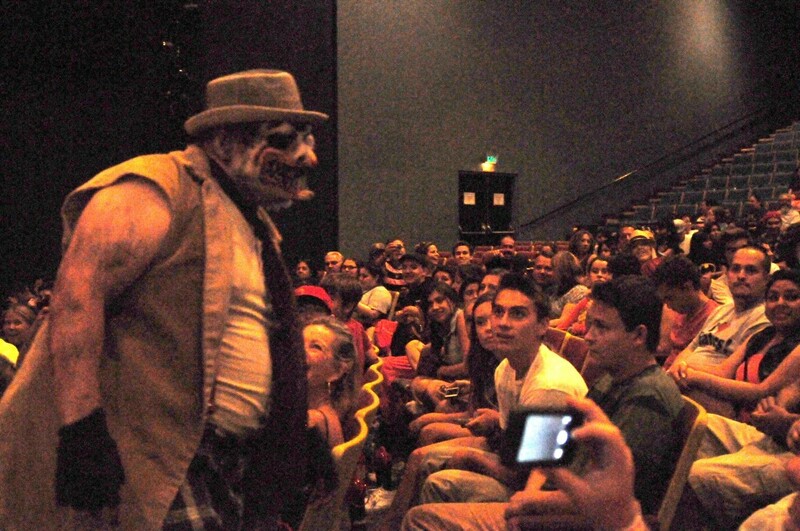 In typical Knotts fashion, Monsters were released into the crowds to get a little pre haunt season scare action going. The Tricksters, monsters and mayhem makers were chomping at the bit to get a fans ready. 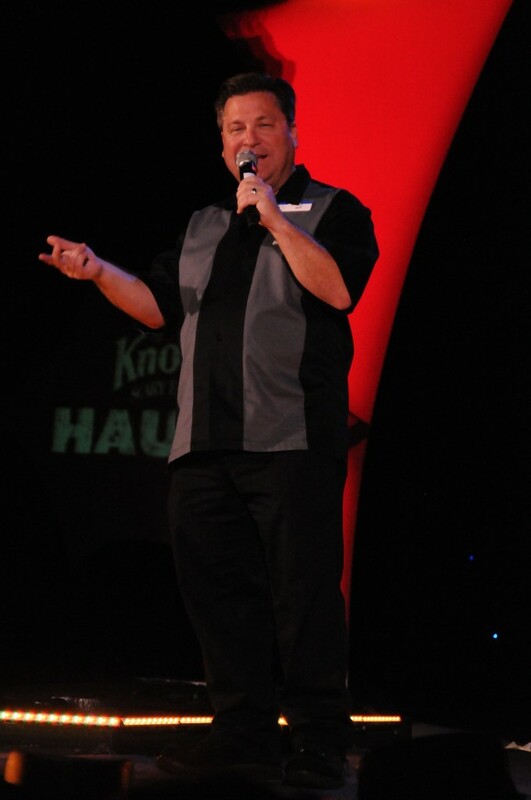 Then our good friend Jeff Tucker came out and began to address the crowd hyping them up for the event. The crowd was loving every word he said. The entire design team was introduced out, then he began to discuss the returning mazes this year. We have the full presentation, in two parts. Be sure to check the videos below! 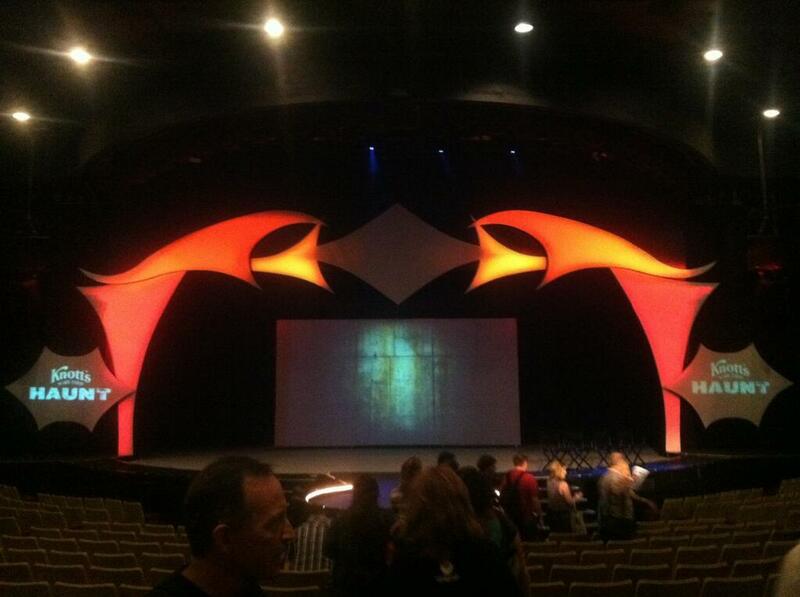 Overall there will be six new houses, with many fan favorites returning. Let’s go down the list. Fan favorite and Icon house will be returning with a few new evil twists and turns. While not a lot is know about these mazes, enough gory details were given so that we know the theme and general direction each attraction will go. Loosely based on last year’s popular return of Dominion of the Dead. 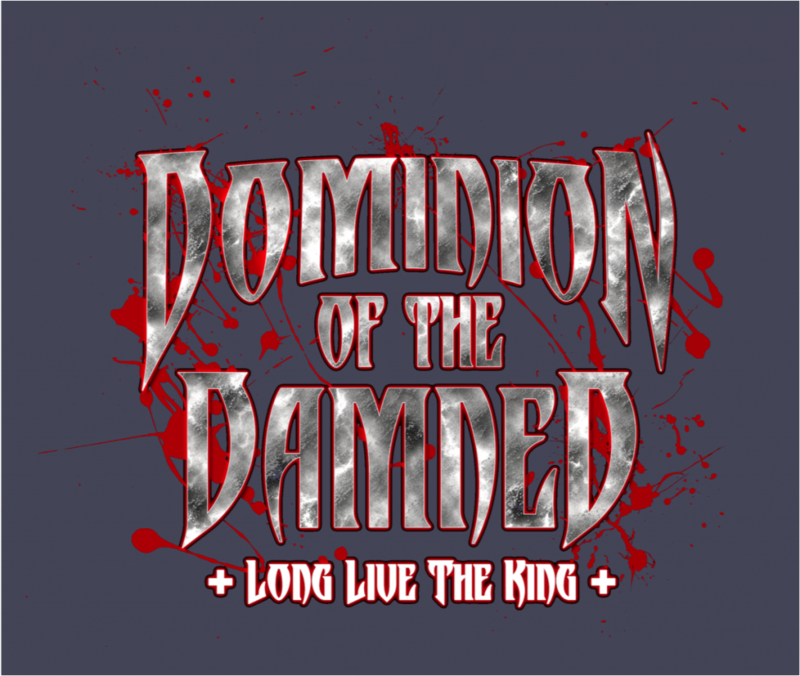 Dominion of the Damned takes things one step further into the world of Dominion and focuses on a character briefly seen in last years incarnation, The King of the vampires. These are not your vegan sparkly vampires, these are terrifying blood-thirsty beasts. This isn’t just a retheme either, This will be a whole next experience from the ground up. Designed by Knott’s fan favorite Brooke Walters. Forevermore takes guests into a new vision of Edgar Allen Poe’s famously grotesque tales. Unlike any other incarnation of a “Poe” maze, this one takes place in modern times and focuses on a mysterious serial killer known as the “Forevermore Killer” who is on the loose and who one day decided to takes Edgar’s stories a little to seriously. Or perhaps it’s the spirit of Allen Poe himself? Poe is open to interpretation, and set in a completely different setting from the other mazes will help make the Knott’s interpretation stand alone. Designed by Daniel Miller and based on Harry Houdini’s interests in the occult. Black Magic questions what if Harry’s spirit still haunts a famous theater. 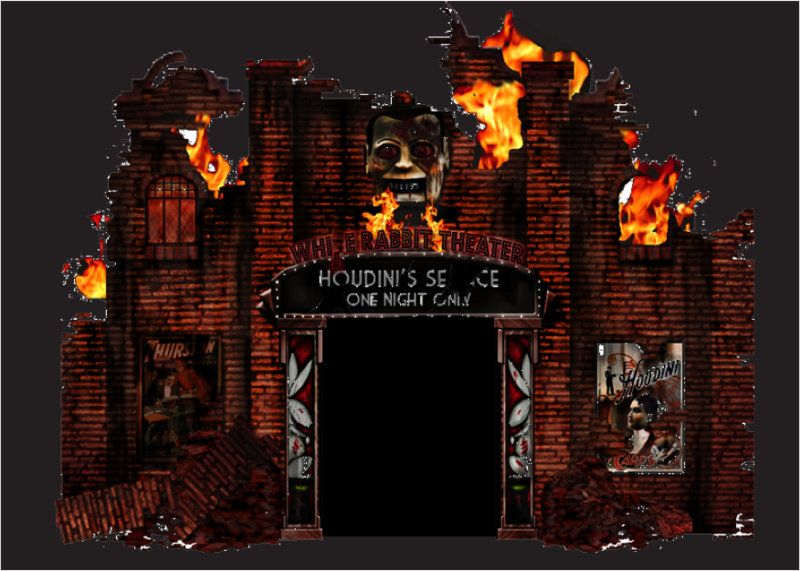 Guests who enter Black Magic get explore an abandoned theater filled with illusions and magic tricks that go horribly wrong, and a very pissed off Harry Houdini. Set in the year 1883, and based on a town filled with corruption. A mayor who has done some very bad things in his life hires The Red Hand gang to kill a local gunslinger who discovered a few too many of this town’s secrets. Unfortunately after killing the gunslingers family, and burning down his how we discover he is not dead and ready for some bloody revenge. Mirror Mirror introduces a new concept never before seen at Knotts. A maze where guests ACTUALLY can get lost. The backstory is that The Green Witch has discovered a mirror and placed a terrible curse upon it. All that look into it get sucked into it’s world and people are forced to find their way out. This is not a linear maze with linear scenes. People could hypothetically get lost in this maze for the total duration of a night. It’s going to be really interesting to see how this attraction will be executed but you better believe it has our attention. Last year Knott’s took a huge gamble by creating an upchared, 18+ maze that required a waiver to be signed in order to enter. They never released any of photos of the interior and the popularity of the attraction would be based solely on word of mouth. Trapped sold out every night at Haunt last year so it comes as no surprise that they are bringing this concept back again this for the 2013 season. Trapped: TNE will be larger, scarier, and more extreme than last year. This year the maze will really pry on certain phobias that will really get into the heads of the guests. This will be a whole new maze, designed and built from the ground up. Those who experienced Trapped last year will have a whole new set of terrors to face this year. The next topic of the event was SCARE ZONES! Most of which will be returning. 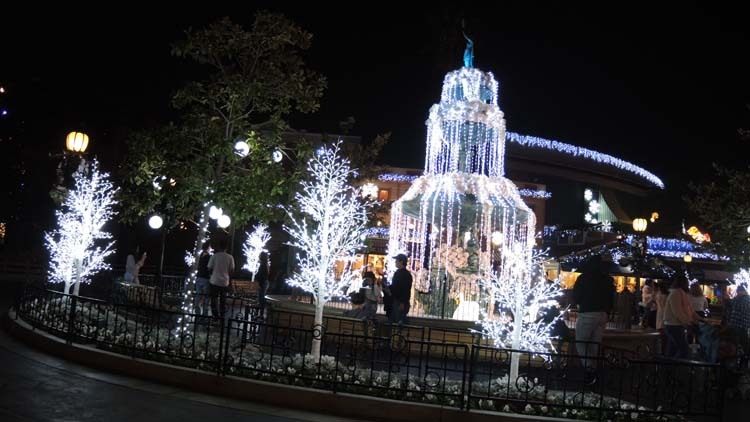 Not much was said about Village of the Dead other than that it will take place in Fiesta Village. But then suddenly the lights went out and The Green Witch reminded us that we are in her house and nobody will be safe at this year’s event. 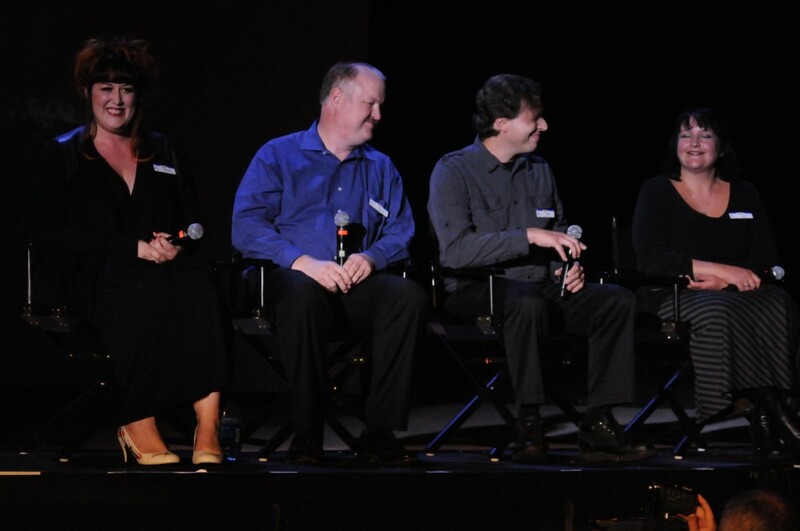 After the Witch informed the audience of her presence in Haunt 2013, the crew went on to discuss the live shows that will be coming to Haunt. The Hanging returns to Haunt this year to trash, bash and slash everyone’s favorite or least favorite celebrities. 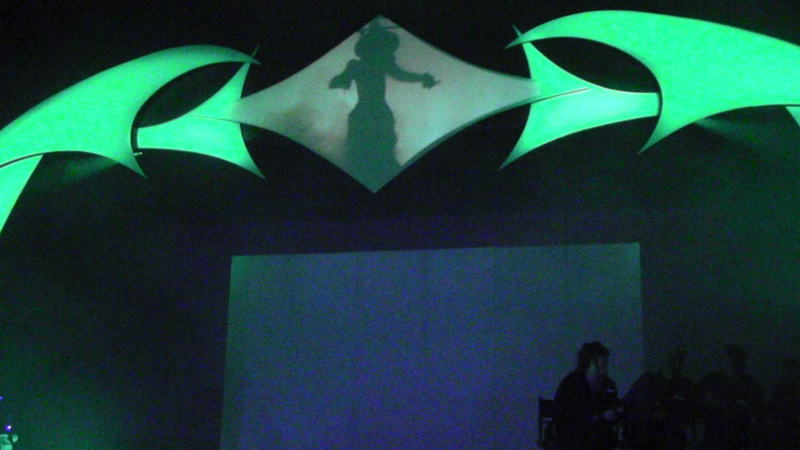 A carnival themed magic show showcasing tricks both new and old. The popular dance crew from America’s Got Talent will make residence at Haunt showcasing a wonderful-horrifying new set. A multi-cultural showcase of dances and acrobatics. Last but not least, it was time for the huge crowd to meet The Mistress of the Dark herself… ELVIRA! She dominated the stage and discussed about her days back when she had a show at Knotts. Then she revealed that she had a big announcement. That she will be back at Knott’s Scary Farm for a whole new show! Elvira’s Cinematic Seance. 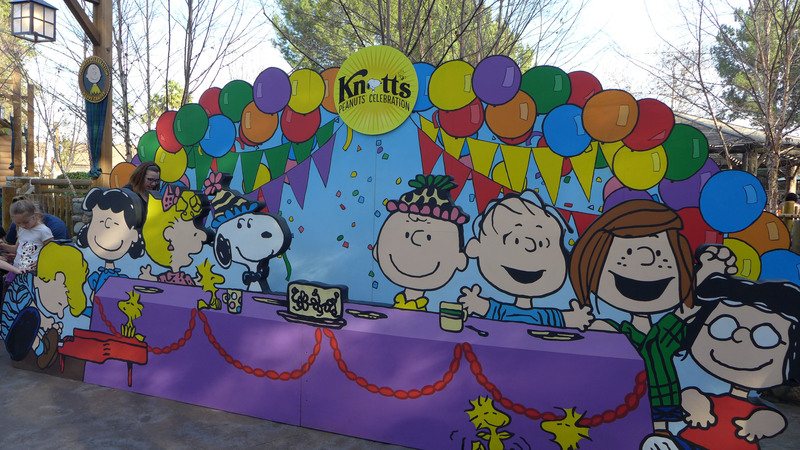 A piece of Knott’s history has returned and the fans were going absolutely nuts for it! After the announcement she had the monsters load up her make up bag and the show quickly ended. This year at Knott’s Scary Farm will be a big one. 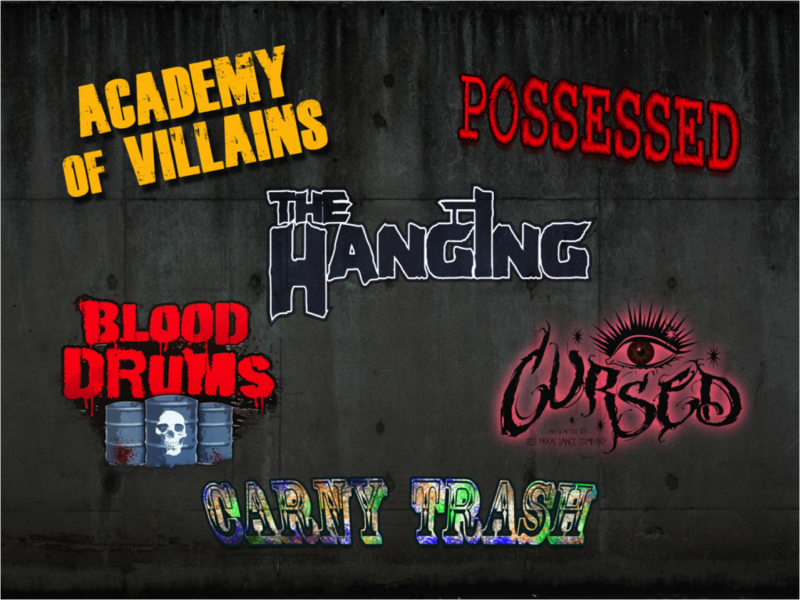 12 mazes, 6 shows, and a new scare zone is a lot to look forward to. Keep checking back throughout the day for more videos, interviews and surprises. Be sure to follow us on Twitter @BehindThrills for all the latest Haunt updates! For more information about Haunt at Knott’s Scary Farm visit the official website by clicking here!